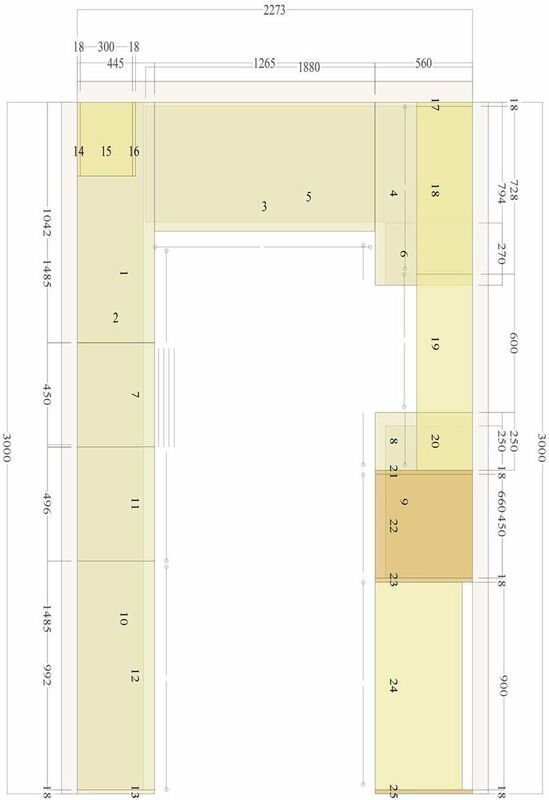 Take measurements of your space and jot down where the doors and windows are situated? Then think about what your new look will be. Will it be modern or more traditional? Gloss, Matt or textured doors, patterned or plain doors, laminate or Stone benchtops? What type of appliances do you want, freestanding oven, wall oven or underbench? Email us your ideas and our Design Consultants will be more than happy to assist you every step of the way. Advice is free so please ask! How do you get a quote? Simply bring your room measurements into one of our showrooms and we will sit down with you and design your perfect space. Once a plan is complete and a basic design has been decided, we can then give a comprehensive quote on your project. On the quotation approval, we can also give you a completed 3D drawing showing you what your kitchen or proJect will look like when complete. This will give you better understanding on what you will receive. Once both the plan and design has been finalised, an order is placed where it can take from 10 days for our "express" kitchens and up to 4 weeks for our standard range. These come as flat pack or can be assembled at our factory for a small fee. 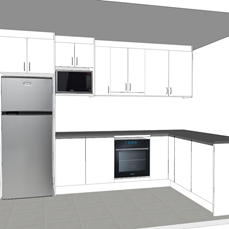 We can deliver your kitchen to anywhere in the Sydney metro area. For areas outside Sydney, please speak to the design consultants for a quote. Pickup is also available from our Warwick Farm warehouse.